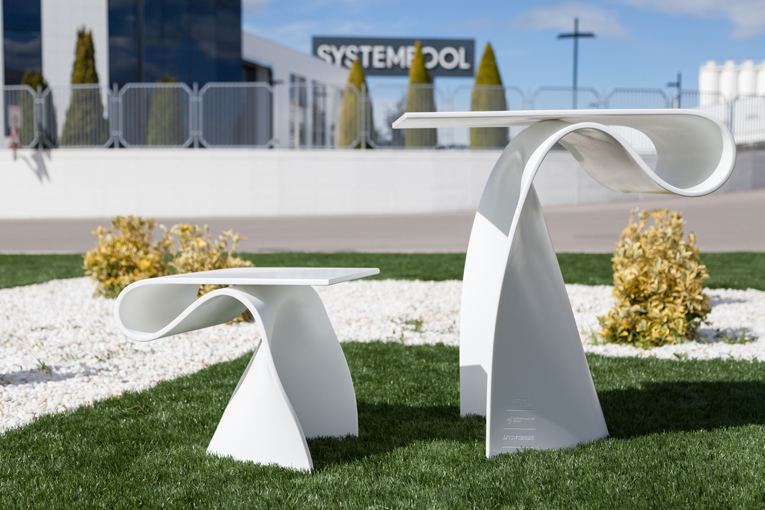 The new Krion exhibition amazed architecture and interior design professionals with an outdoor showroom with furniture designed by Verónica Martínez (VMD) and made by 2eses, thereby displaying the uses and qualities of Krion® Snow White. With nature-inspired shapes and elements, collection 4 proposes other spaces characterised by PORCELANOSA Group solid surface and the avant-garde design: Mare, Cala, Alfa and Lines. 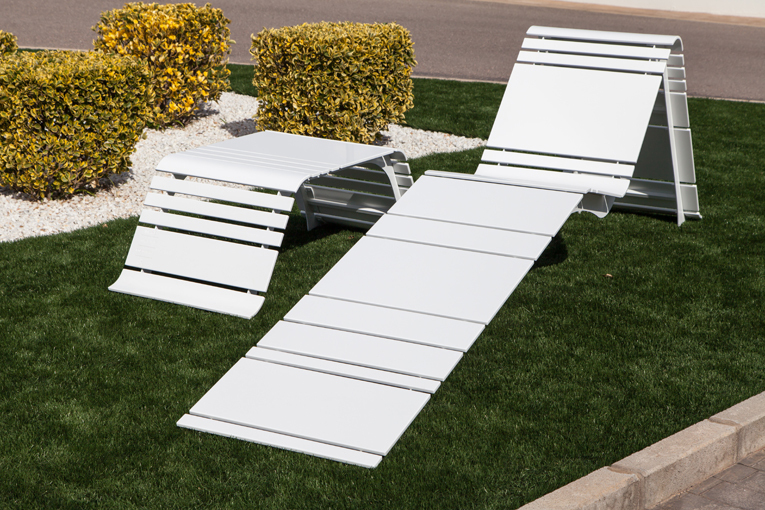 With the stylish design and simple lines, the chaise long and the Mare series table are inspired by the reflections of light with the sea waves, configuring pieces that are like typical beach furniture. 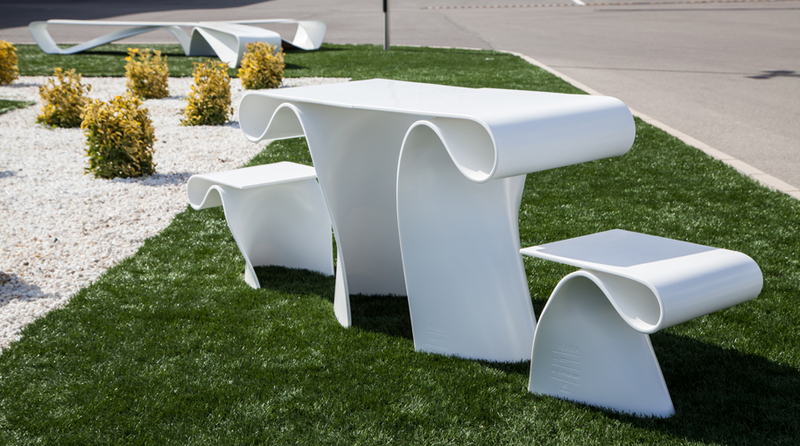 On the other hand, the Cala bench, made with just one Krion® sheet is inspired in suggesting flower-like curves. 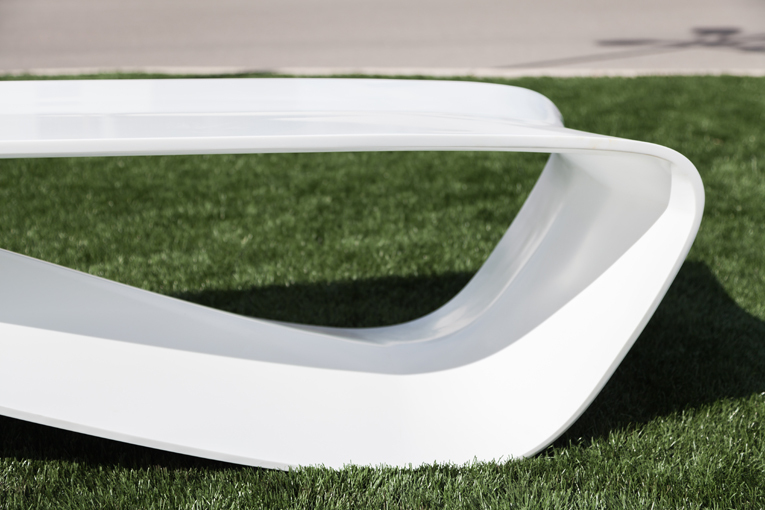 The Alfa bench is suitable for both indoors and outdoors, inspired by infinity, achieving striking compositions with the combination of several of these benches. 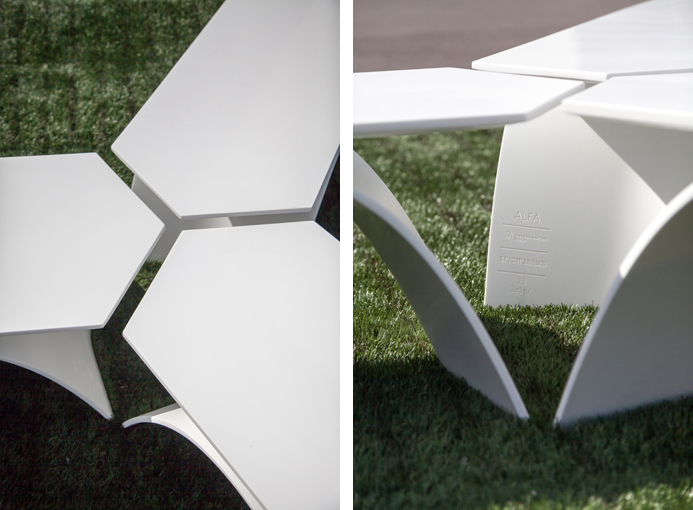 Finally, the Lines series, formed with a chair and a table for outdoors simulates the grass and shoots which spontaneously grow in the field. 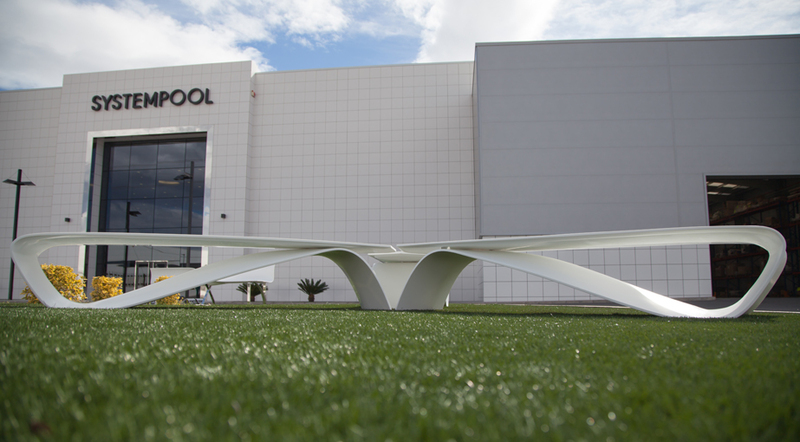 The exhibition is completed with the Brisa plant pot, inspired in soft marine currents. 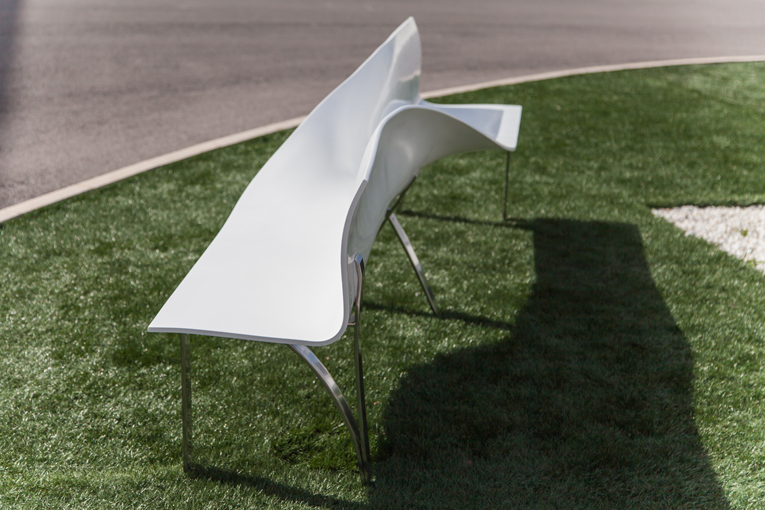 It can be independently placed against a wall or combined with other pots. 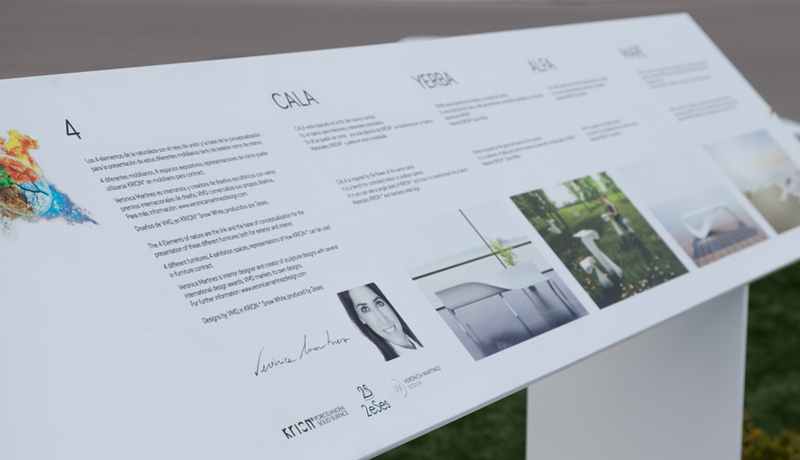 The expert in interior design, landscaping and sculptural design, Verónica Martínez Design has nationally and internationally presented her creations in Milan, London, Madrid and Valencia. 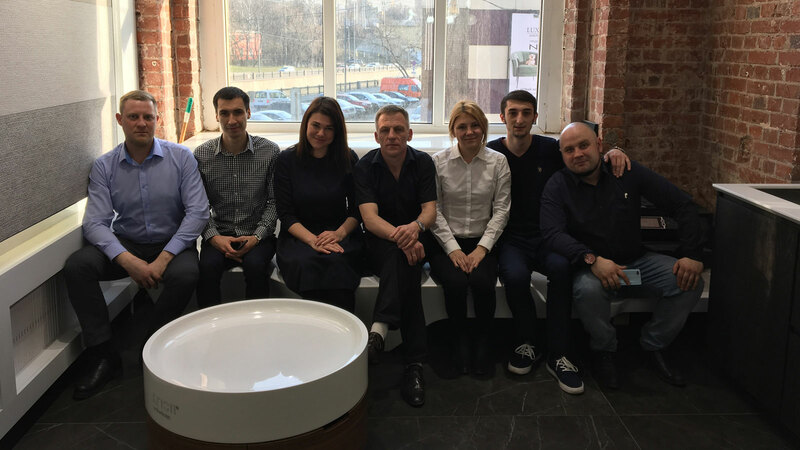 The designer has repeatedly collaborated with the 2eses team for two years, who are experts in working with metals, wood and plastic materials, and now with the transformation of PORCELANOSA Group solid surface.